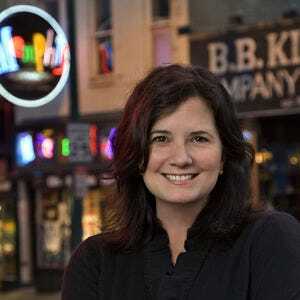 As a former shopping columnist for the local daily paper, yours truly admits she has been known to write about the dearth of good shopping in Memphis. But she's glad to report that things are looking up on the Memphis shopping scene, with outdoor lifestyle centers anchoring a retail revival, and neighborhoods supporting their local stores to create a new twist on what one thinks of as a conventional shopping center. 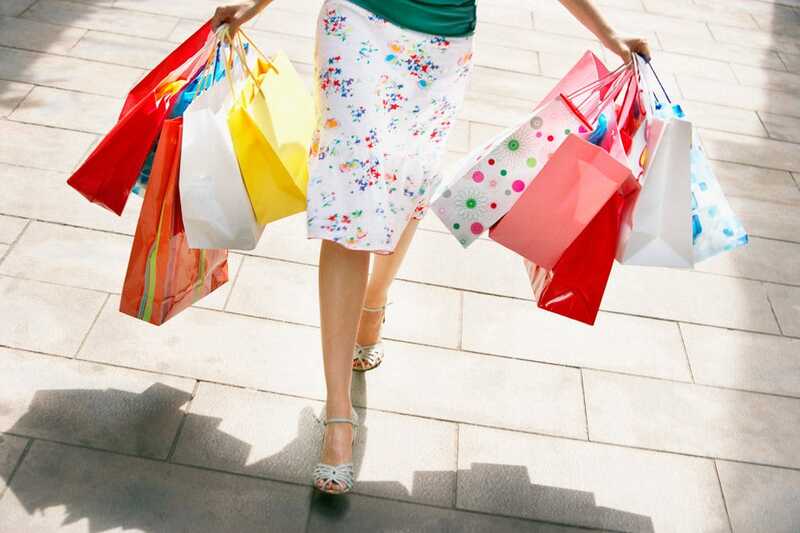 No matter the area of town, a good shopping center is never too far away. Wolfchase is east of the city center, and easily accessible via I-40 from downtown / Midtown or Germantown Parkway from Germantown and Collierville. And there are some ginormous malls, like Wolfchase and the outdoor lifestyle center Carriage Crossing. But you'll also find smaller neighborhood centers worth exploring, from the conservative Laurelwood in East Memphis to the hip local vibe along South Main downtown, with its cool galleries and boutiques, to the charms of a typical Tennessee town square in Collierville. The larger malls will be open later, while the neighborhood stores will close by 6 p.m., but generally offer a one-night-a-month 'night out' complete with live music and libations. As with most things in the south, stores open late, if at all, on Sundays; be sure to check the mall or store website for the most up-to-the-date center hours. This massive, state-of-the-art mall offers something for everyone. Anchored by big-name department stores like Dillard's, Macy's, Sears, and JCPenney, the mall is then filled out with over 130 popular retailers like Forever 21, Teavana, Pottery Barn, The Disney Store, and Banana Republic. Both Dillard's and Macy's have undergone some recent upgrades, both in terms of merchandise selection and layout. There's a carousel and giant food court, movie theater and kid's play areas - and lots of couches and comfy seating for those who prefer lounging to shopping. There's even free wifi for those who want to bring along their laptops and work...or maybe stream a football game? The upscale outdoor lifestyle center - also known as an outdoor mall - contains plenty of the usual suspects, including Macy's, Dillards, Hollister, Victoria's Secret and more, plus specialty retailer Sephora,and a smattering of lesser-known chains. The charm here is that there's plenty of easy walking and browsing, a giant Barnes & Noble for hours of book-looking, and a nice selection of children's stores, including a Build-a-Bear. Restaurants are more fun for adults than the usual food court options, too. (Translation: full bars). A variety of special events are offered throughout the year, from Friday night concerts, to movie nights on the green, to family-focused fun. 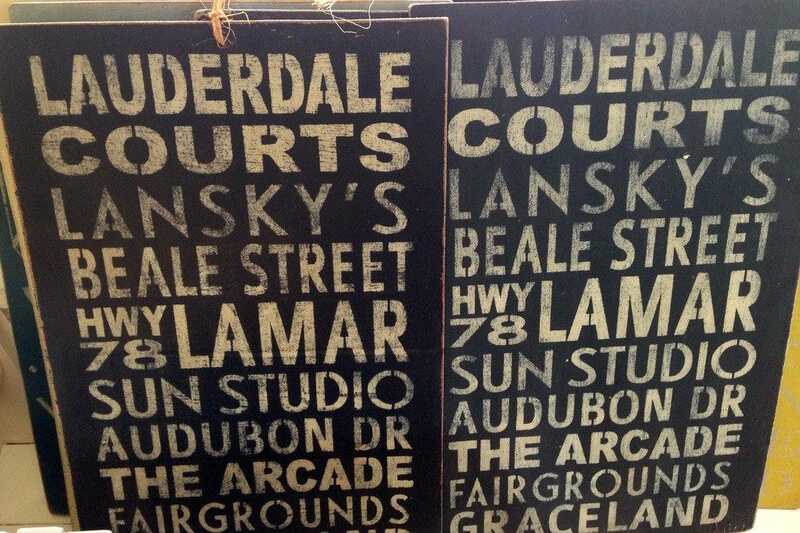 Located in the Cooper-Young neighborhood, the Memphis Antique and Design District features a variety of vendors boasting one-of-a-kind antiques along with investment-quality art by local and more far-reaching artists. Home to some of the best browsing and shopping in the city, stores include Palladio, one of the finest antique stores in the city, and Flashback, the ultra-cool vintage clothing and decor store. 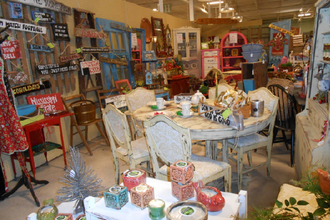 Check out Gary's Antiques if you're a treasure hunter - you never know what you'll find. Urban Outfitters set up shop here, much to the delight of teenagers and their trendy mothers, and there are some smaller boutique-type clothing stores including Wish for fashionablw young ladies. This artsy little district has been described by locals as "a bite of the Big Apple with a dash of Southern hospitality." In recent years it has become one of the hottest neighborhoods in Memphis for its attractive loft-style living and its locally-owned shops. Our favorites include Saachi, a cool t-shirt store / salon, Hoot & Louise, which carries crafted fashions and accessories, and the city's coolest folk art gallery in town, D'Edge. South Main is full of unique stores and local characters. 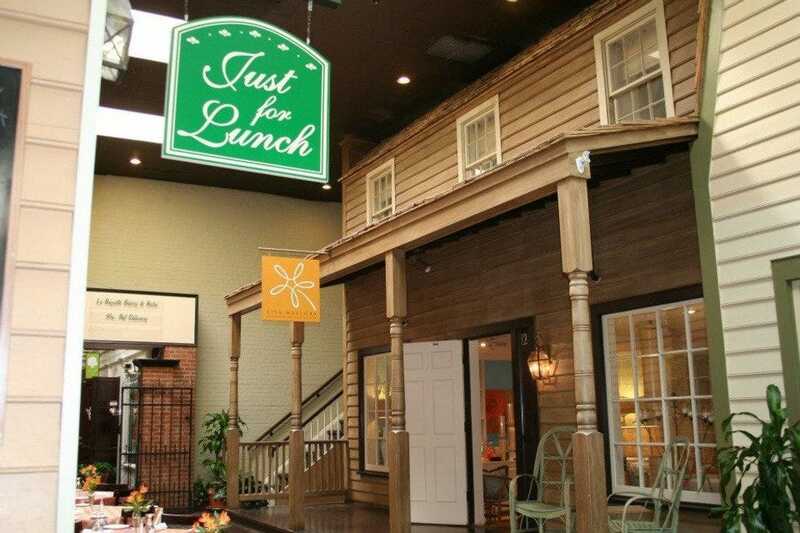 Also located here are some of the city's most famous restaurants and bars, like The Arcade, Gus's World Famous Fried Chicken, and Ernestine & Hazel's. Located about 30 minutes east of downtown, the Collierville Square is the epitome of a historic town square. Quaint shops, small local restaurants, and the bells of the town's churches can be heard throughout. 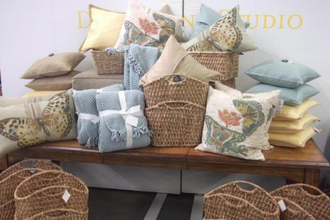 Dunn & Hewett is the boot barn that will bring downtown Memphians all the way out to this eastern burb; the gift and antique stores make for pleasant browsing. The town also hosts its biggest annual events on the square, in the gazebo and park that serve as the center. 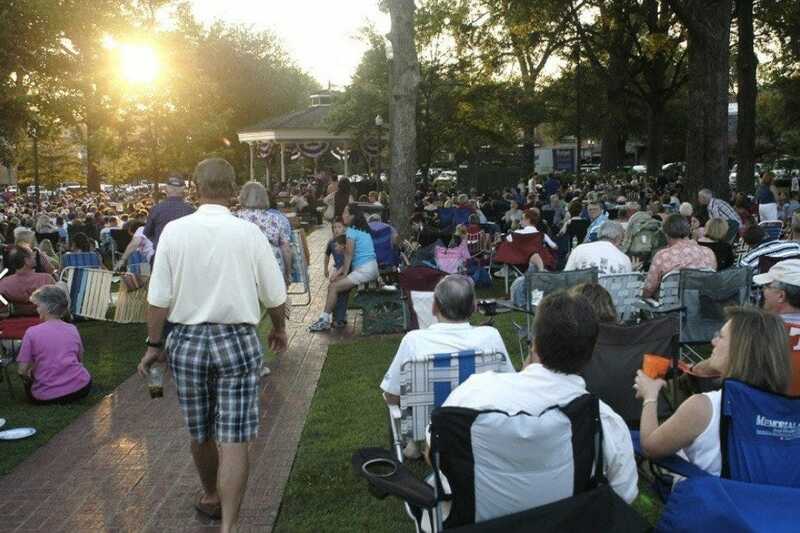 Sunset on the Square is the summer concert series, while Christmas in Collierville is an old-fashioned weekend of carols and holiday festivities. 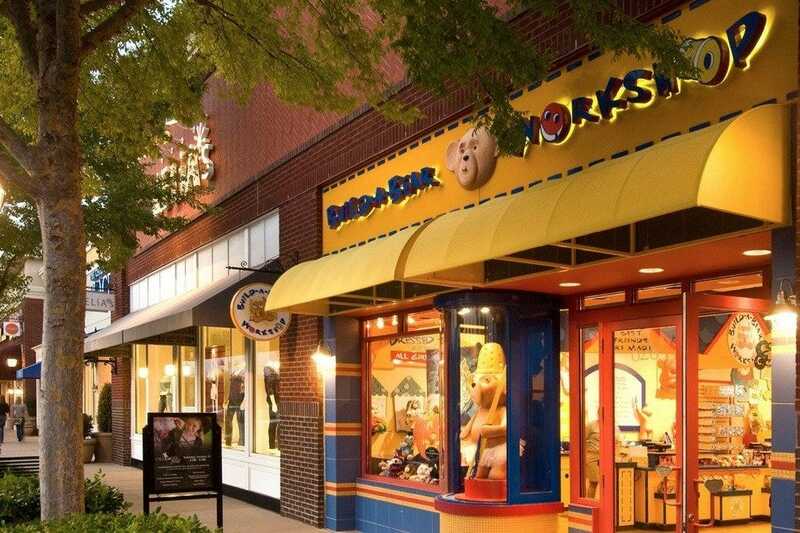 An small indoor mall that's designed to look like an outdoor village is the hook for Chickasaw Oaks, the Midtown mall that's full of interior design shops, art galleries and a few casual restaurants. 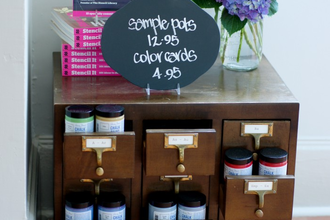 Retailers include Mrs. Post - a fine stationery and gift store; the upscale boutique Kittie Kyle, and design shop Lisa Mallory interiors. The charm is in the wandering; each storefront opens onto the brick 'street' basically one long lane of retail happiness. A few boutiques and an unlikely chain store - Pier 1 - round out the retail offerings, while the two restaurants - the lunch only Just for Lunch and breakfast and lunch spot La Baguette - offer plenty of options for ladies (and gentlemen) who lunch. In the late 1800's and early 1900's, this Victorian neighborhood was one of the most well-to-do residential areas in the city; but during much of the 20th century, the houses fell into disrepair. Fortunately, the Cooper-Young district is making a big comeback as one of Memphis' trendiest entertainment and shopping districts. 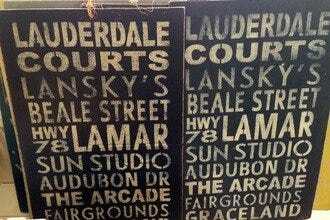 Favoring creative types, the area is now full of fun and funky options, from coffee houses to innovative casual restaurants and of course, locally owned shops. It's also still worth your while to cruise around and take in the ornate Victorian architecture, much of which has been restored. Note that parking can be tough on evenings and weekends. 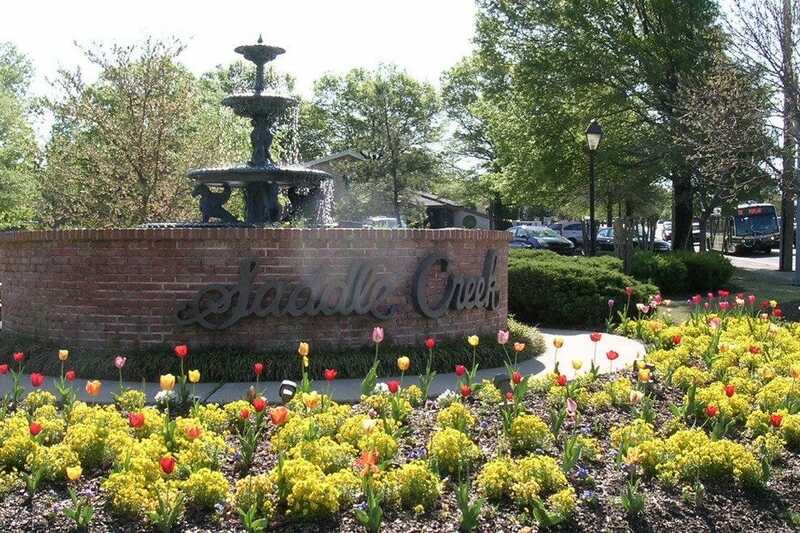 A loosely spread complex with three separate sections, Saddle Creek offers all the latest trendy, name-brand stores, but it also has a few locally-owned boutiques and restaurants in the mix. Saddle Creek features the region's only full-blown Apple Store, as well as Williams-Sonoma, Anthropologie, J. Jill and Coach. A recent renovation of the center's south side promises more upscale retailers; a handful of restaurants and sweet shops makes browsing that much better. During the Germantown Festival and on tax-free weekends, parking (and walking) is almost impossible. On Sundays, most stores are open - and that's the best time to shop. Regalia, anchored by the venerable Oak Hall (a mainstay for quality men's and women's clothing), offers an upscale shopping experience. 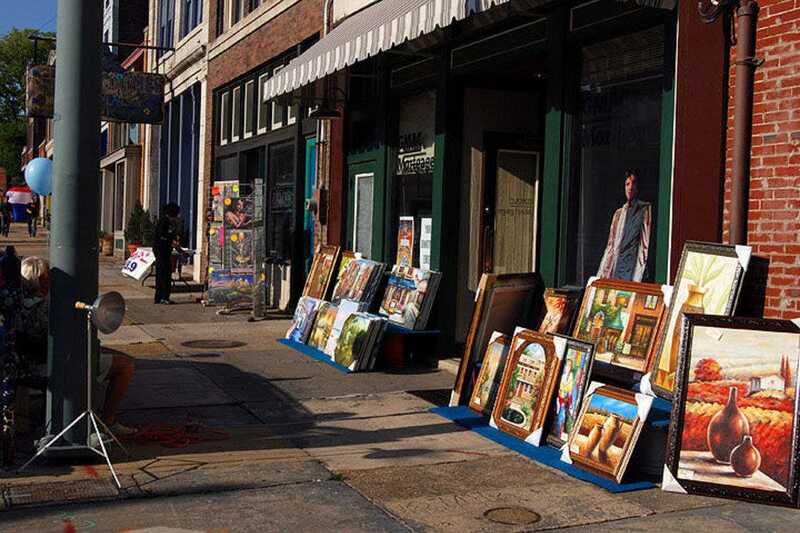 Intriguing boutiques and specialty stores sell everything from gifts to clothing to home accessories; an excellent stationary and gift store, the preppy Vineyard Vines, and a wine store with an exceptional selection make this outdoor mall a go-to for East Memphians - and many downtowners as well. A handful of restaurants, including the New Orleans-themed Owen Brennan's and steakhouse Ruth's Chris, with one of the best see-and-be-seen bars in town, offer provides a place to stop and take a break while shopping or after hours. This east Memphis retail center is the most upscale in town, offering a few high-end clothiers, including Joseph for women and James Davis for men, plus a smattering of nice chain stores including Talbot's and J. Jill. 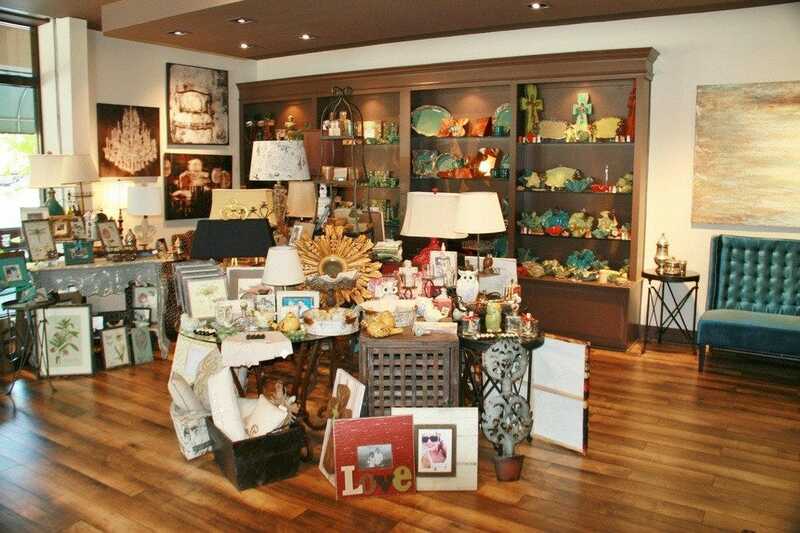 A fabulous florist / gift store called Le Fleur is always a favorite, and the must-shop Saachi is the same for teens, while the independently and locally-owned Booksellers is a perfect spot to while away an afternoon, browsing books and gifts. Booksellers also has an excellent bistro that's open for breakfast, lunch, and dinner. Local jeweler and fur store King is a real treasure, offering a wide variety of affordable or over-the-top options.